Technological advances have allowed a series of potential revenue streams in the world of ecommerce. Certainly the technological revolution has allowed brick and mortar commerce to open its doors to international clients. And while this is a rather large tip on a rather large iceberg it’s not the sum total of available online wealth. A Little Work: A Long-Term Reward There are a number of methods online business can use to ramp up their income. Obviously you may prefer to rely on one business application, but the truth is the benefits of legitimate SEO techniques can take some time to be realized. The use of other low-key methods of revenue management can help you weather the storm of ecommerce startup. The fact that the bulk of these ideas rely on residual or passive income may make them a strategy you may wish to adopt long-term. Possibilities Information – If you have specific knowledge about how to do something or you are an expert on a particular subject you may find a respectable return on the sale of an ebook or other informational products such as a paid webinar. This form of residual income allows you to set up an automated estore with funds automatically transferred to an account of your choice. Affiliation – Once you develop an ecommerce site you may find that there are related products that are a compliment to your existing offerings. 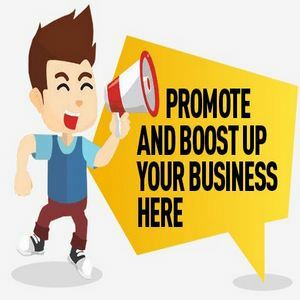 You can derive an income from becoming an affiliate for an existing line that enhances your website and brings in a commission on each sale of affiliated products. Software Creation – If you are technologically gifted you may have an idea for a software product that either entertains or educates a segment of the Internet buying public. Software products can be downloadable online through an automated process leaving this portion of your online presence essentially hands free with ongoing income potential. Become a Salesman – If you are effective at marketing you may be a valuable asset to other sites looking for reliable outlets to resell products and services. They will be delighted with your ability and you are the beneficiary of residual income based on the sales you generate. Content – By developing a site that relies heavily on quality content coupled with the effective use of target PPC advertising you can gain long-term income from advertisers as visitors follow advertising links from your content site to an advertiser’s site. Many ecommerce sites come and go, but the implementation of some of the residual income ideas above can help you get past the initial phases of online business ownership and provides a greater opportunity for ultimate business success.